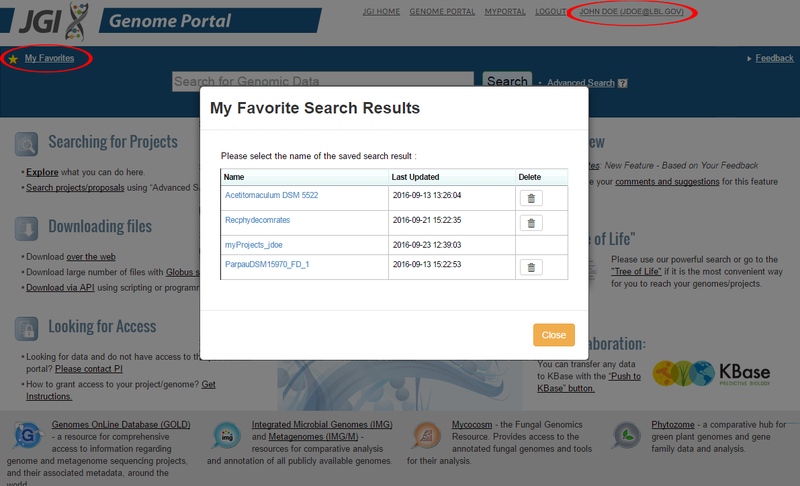 The JGI Genome Portal Group is introducing a new way to track your projects and download them later when data is available. To start using this new feature please 1. login, 2. execute search, 3. save results. The access to the feature is available at the left corner of the search panel. To select certain projects (Cherry picking) from search and save them for future tracking/review/download. Enter the IDs separating them with a "|" sign. Check the box "Show Highlights" to visualize your query among search results. Review the results with multiple IDs.